The stowage sets by Value Gear have been getting great reviews   . 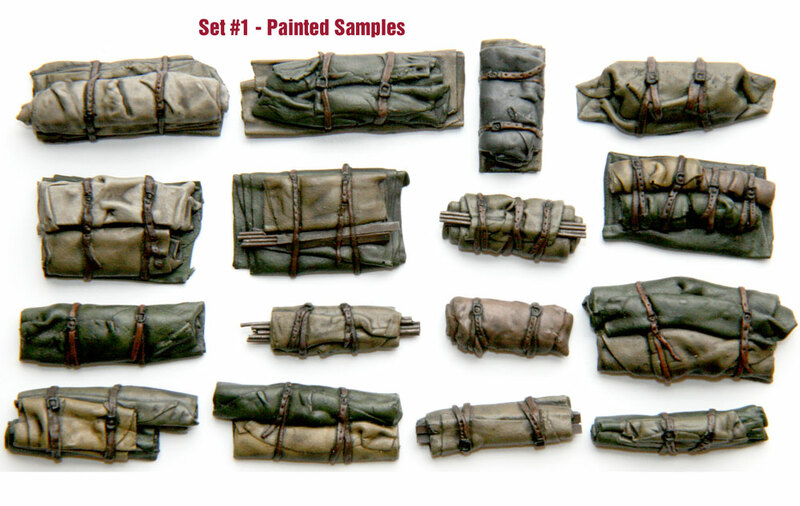 Having got a couple of sets – Tents & Tarps Set #1 and Wooden Crates Set #4 – I agree with this sentiment. Selected items (not all ultimately used) were painted with the colours shown above. 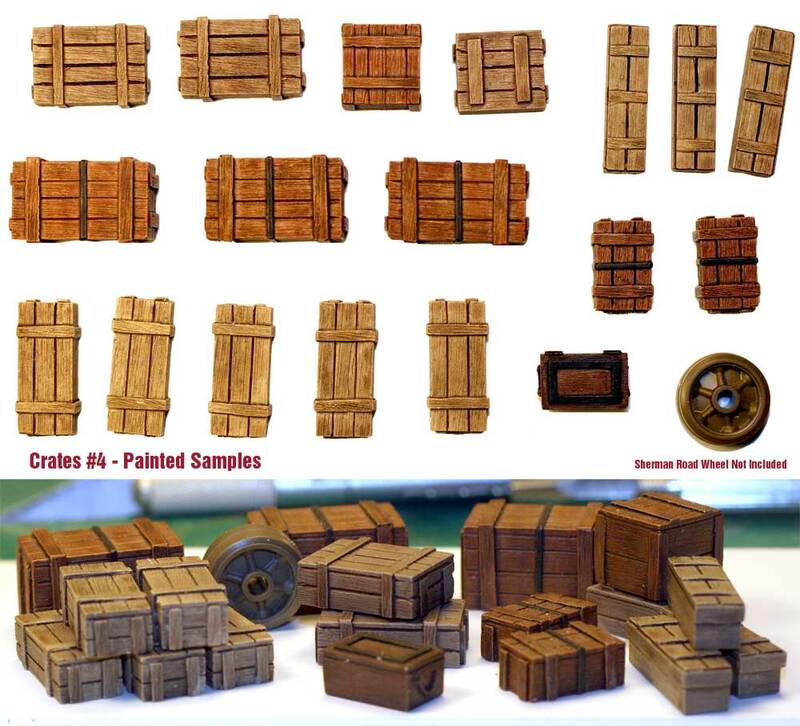 Weathering with Mig Productions “Dark Wash” (oil can, baggage rolls) or Winsor and Newton “Raw Umber” or “Burnt Umber” oil paint (wooden crates).